50% off the Night on the Town tour for August 24th,2010 ONLY! One century and counting, Gray Line takes great pride in observing its 100th Year Anniversary by offering 50% off the Night on the Town Tour for August 24th only. Book now and help us celebrate this amazing milestone! Join us for an amazing “Night on the Town” in New York City! Choose August 24th to get your discount! click NIGHT ON THE TOWN TOUR! Welcome to the New York KNICKS Amare Stoudemire! 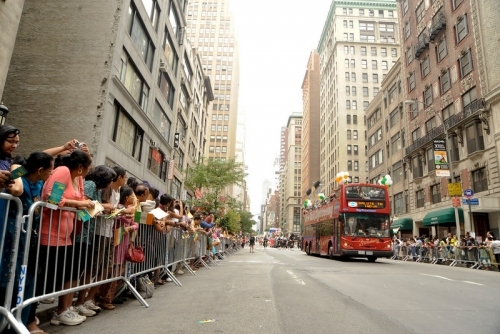 Gray Line New York was proud to take part in this years Indian Day Parade. Almost 80,000 people attended the parade, which is India’s largest celebration outside of India. 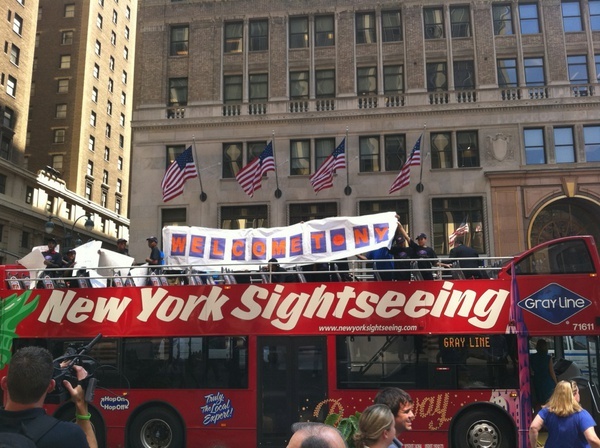 Gray Line New York employees, family members and friends rode high on top of the Double Decker buses for a joyous ride down the parade route. Click here for more pics!